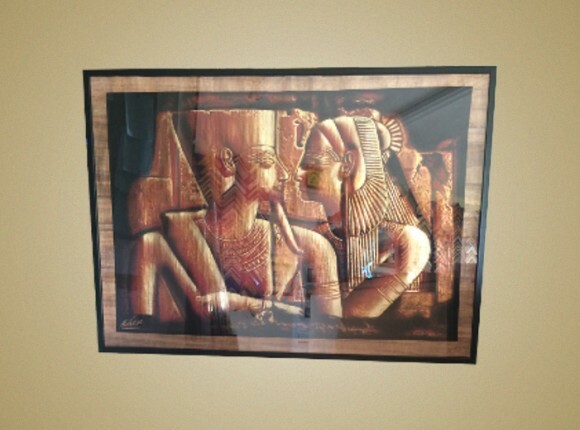 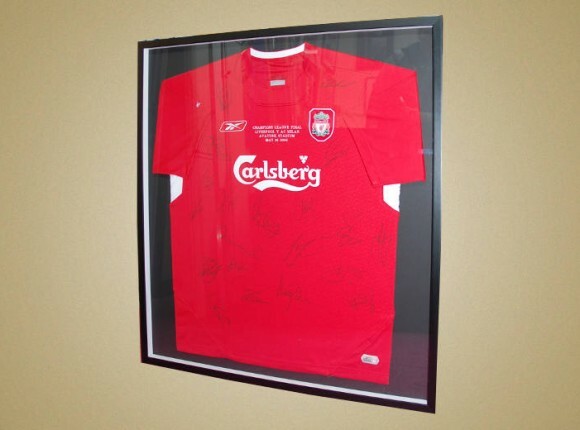 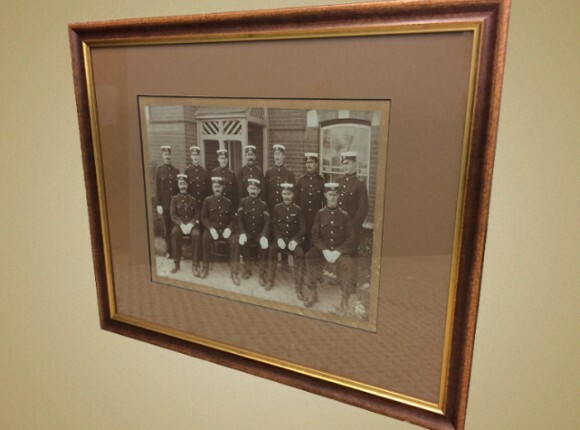 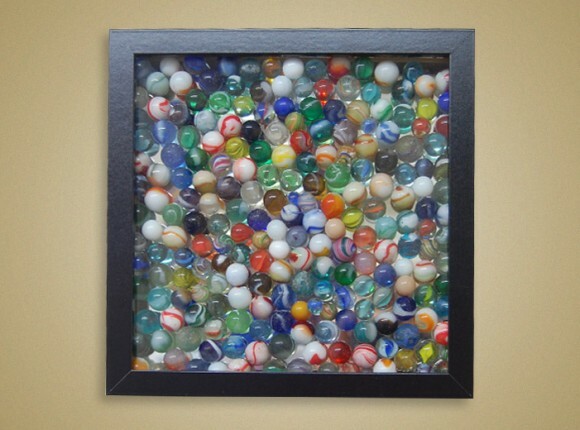 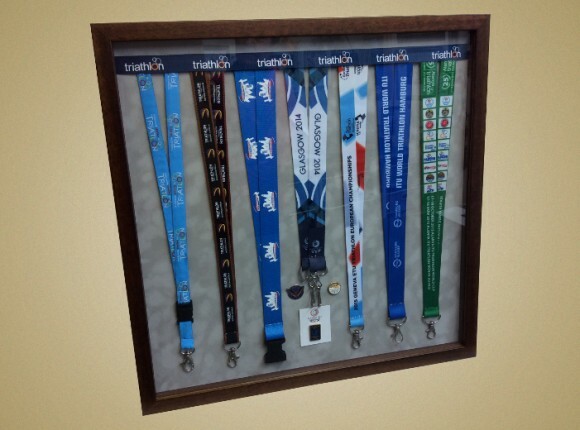 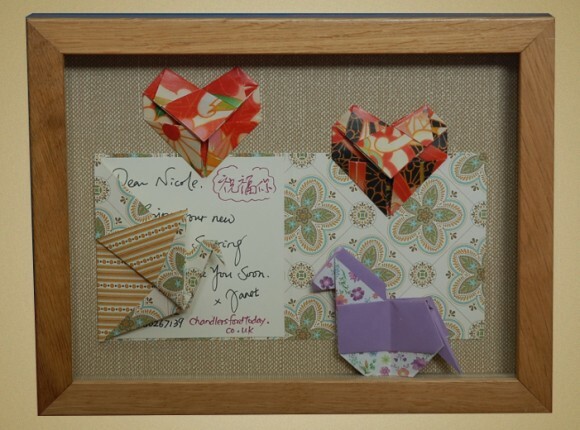 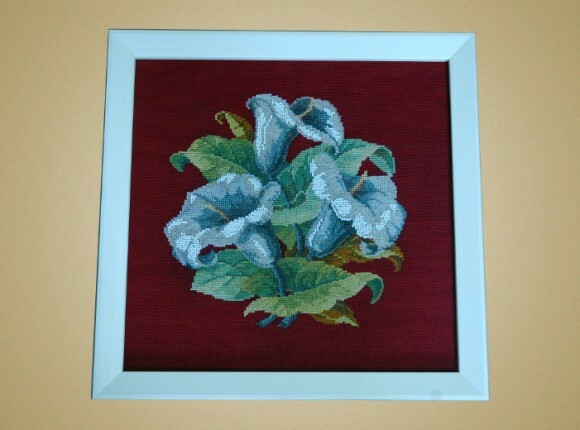 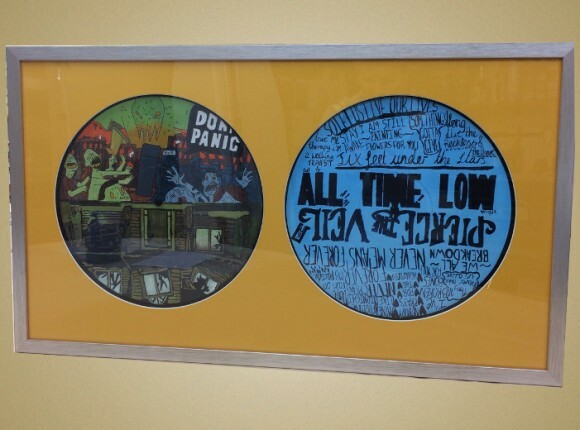 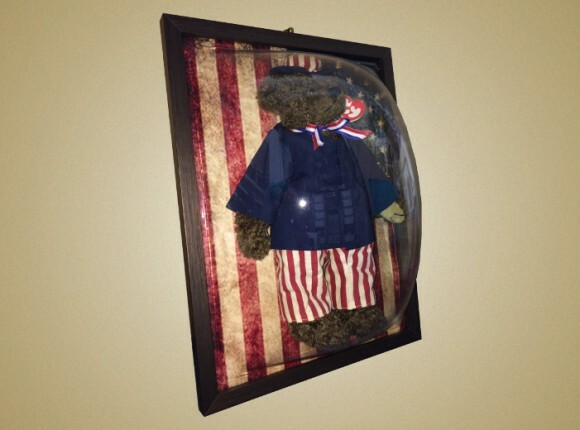 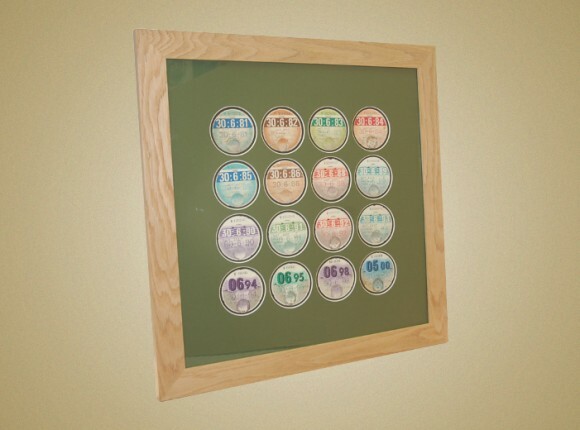 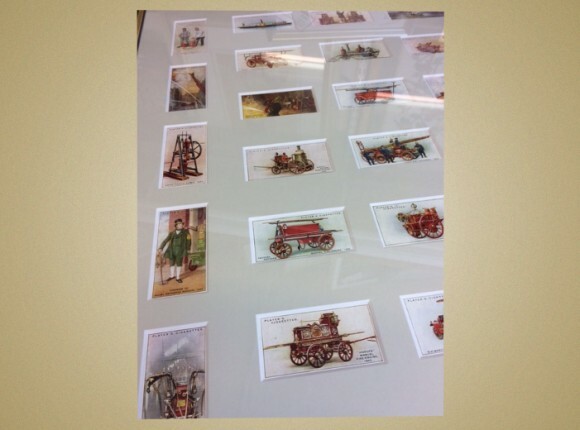 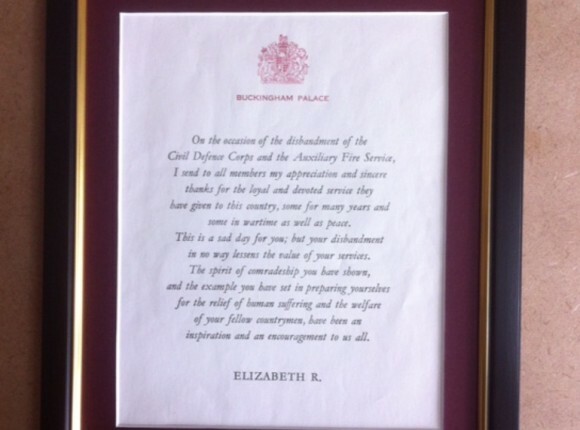 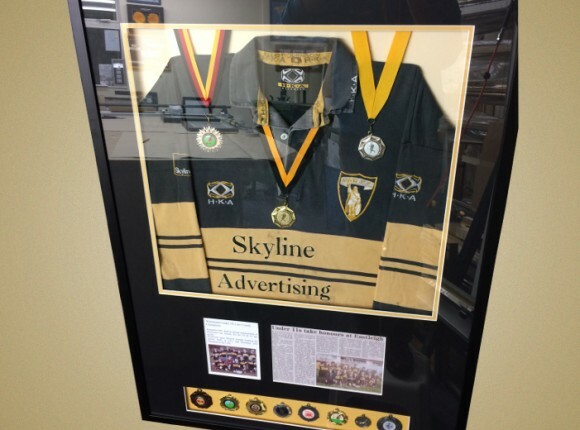 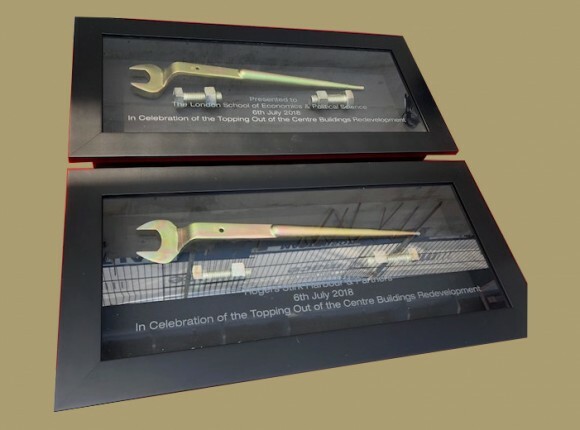 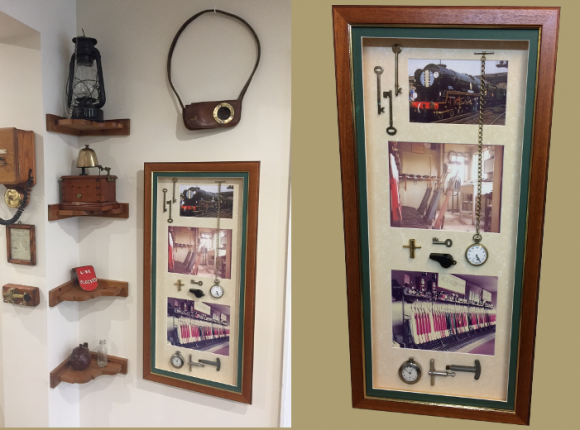 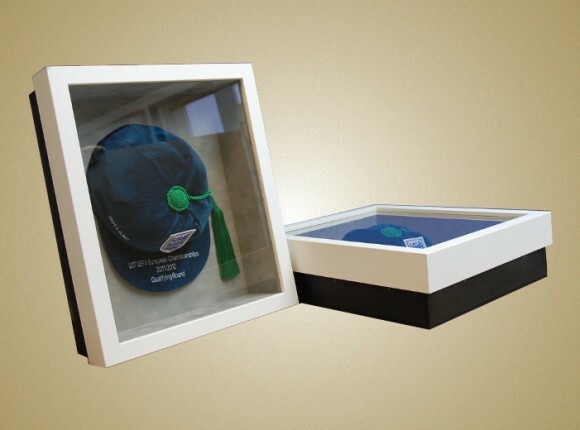 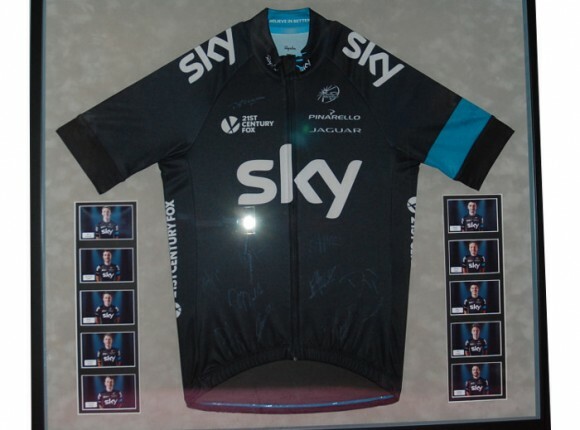 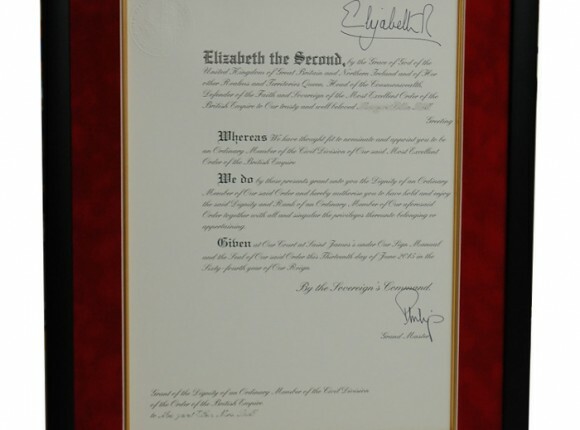 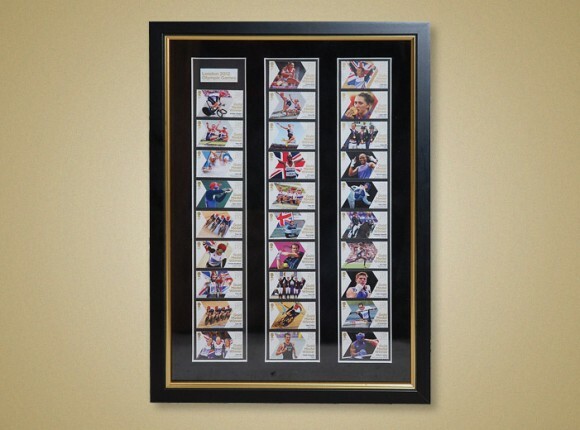 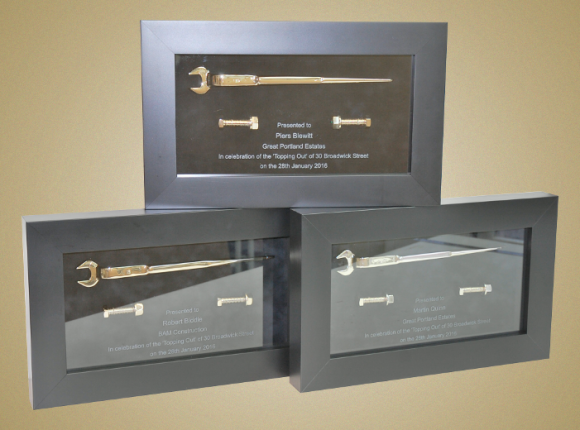 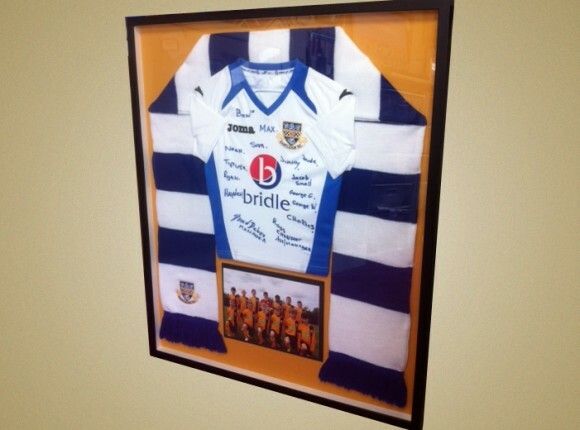 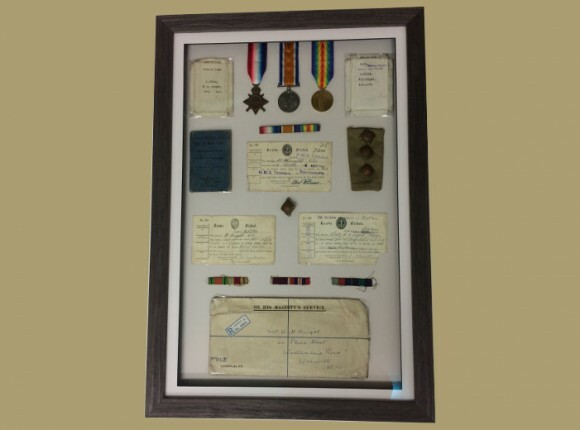 Event memorabilia can be framed in a moulding with a deep rebate to hold 3D items. 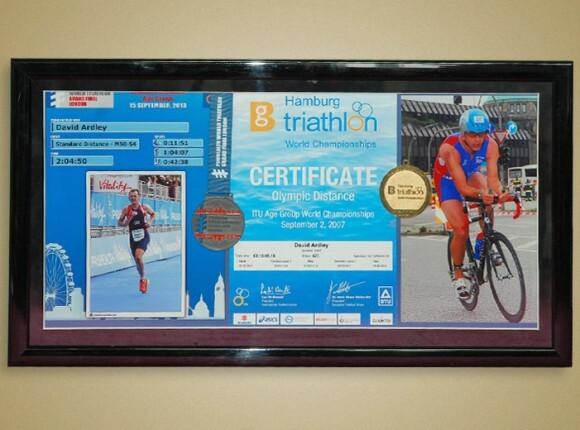 A black velvet mount was used and a bevelled frame cut to hold the event photo. 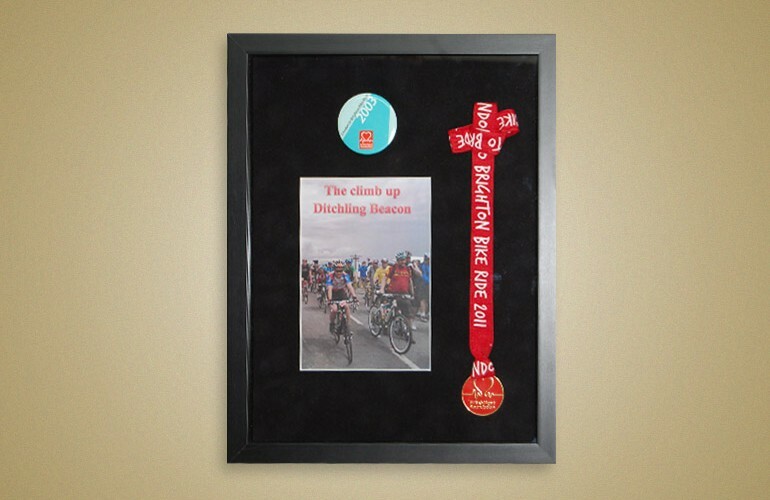 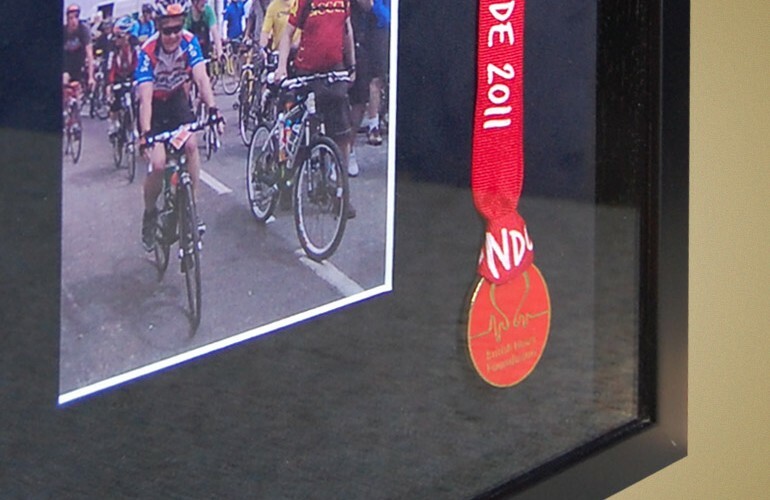 The medal and badge were secured in place to create a lasting memory of this well known cycle event.